Watch all presentations and discussions from the Gathering here. Bristol’s year as European Green Capital may now be behind us, but the city’s ambition doesn’t stop here as plans have been announced for Bristol to become carbon neutral by 2050. 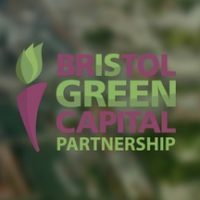 To support and enrich these plans, Bristol Green Capital Partnership invited local organisations and Partnership Members to the Quarterly Partnership Gathering on Tuesday 23rd February to consult on the freshly drafted Framework for Climate and Energy Security behind the city’s bid to become carbon neutral. To start off the event, stands showcasing some of Bristol’s pioneering energy projects were open for networking. 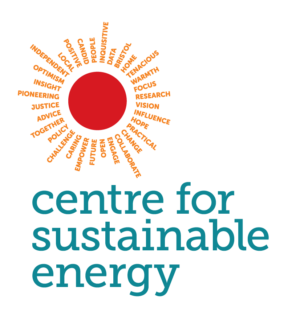 One of which was Friends of the Earth’s Climate Rising movement to energise and build bigger and more diverse climate actions post COP21. Simon Roberts OBE, Chief Executive of Centre for Sustainable Energy, and a recently appointed Director of Bristol Green Capital Partnership CIC, welcomed attendees to the event and introduced various speakers who took to the stage to share how their work is supporting Bristol’s target to reduce carbon emissions across the city. Speakers included Dr Andrew Garrad, from the Supervisory Board of DNV GL Energy & Chair of Bristol 2015 Company, Centre for Sustainable Energy on their Smart Energy City Collaboration, Bristol Energy, CHEESE, Bristol Energy Network, Bristol Energy Cooperative, Oxford Instruments and Bristol Green Doors, who all inspired the audience with their ambitious initiatives and projects. Next up was Peter Haigh, Bristol Energy’s MD who expressed the strong mission statement behind the company; “We believe in a fair, ethical sale of energy for all.” They’re proud to set themselves apart from the rest with an ethos built upon values of fairness and equality, and pledged that all profits go back into Bristol City Council and their customers. Attendees had the opportunity to hear about initiatives from Bristol Energy Cooperative who are growing Bristol communities’ green energy supply, Easton Energy’s CHEESE project helping people understand how and where they lose energy, and the Centre for Sustainable Energy’s vision on shaping Bristol to be a smart energy city and many more. 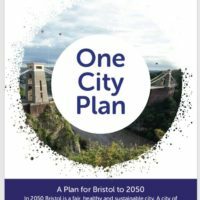 The draft document “Our Resilient Future: A Framework for Climate and Energy Security” maps out how Bristol hopes to achieve a series of targets to reduce carbon emissions city-wide through low carbon projects. What’s already happening to deliver sustainable energy in the city which isn’t reflected in the Draft Framework? What’s being planned in the city which isn’t reflected in the Draft Framework? What else needs to happen in addition to what’s in the Draft Framework (and the above) to ensure the city meets its carbon reduction goals? With the help of table hosts, we saw positive conversations emerge as groups collaborated on their thinking and ideas – harnessing their collective knowledge and experience to help ensure the next iteration of the framework reflects as fully as possible all the relevant activity and plans underway across Bristol. It was impressive to see all worksheets eagerly packed with insightful feedback that will now feed directly in to the consultation, and will be shared through the Bristol Green Capital Partnership network. 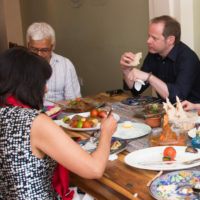 Thank you to University of Bristol and Anson Rooms for hosting, all of our speakers and stall holders, Centre for Sustainable Energy and Bristol City Council for working with us to support and enhance the Framework, plus our group of table hosts who helped to make the roundtable discussions possible. Presentations, Part 1: Welcome and Presentations. Presentations, Part 3: Mark Leach’s presentation on the Bristol City Council’s Framework. 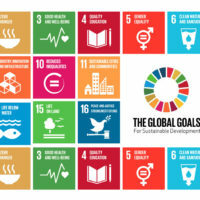 See the first draft of “Our Resilient Future: A Framework for Climate and Energy Security”, and fill in the online survey or to learn more about Bristol City Council head over to their website. 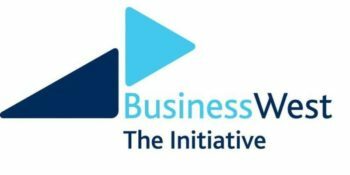 Sign up to our newsletter to learn more about our future events, or pledge on behalf of your organisation to become a member – and don’t forget to follow us on Twitter and Facebook!